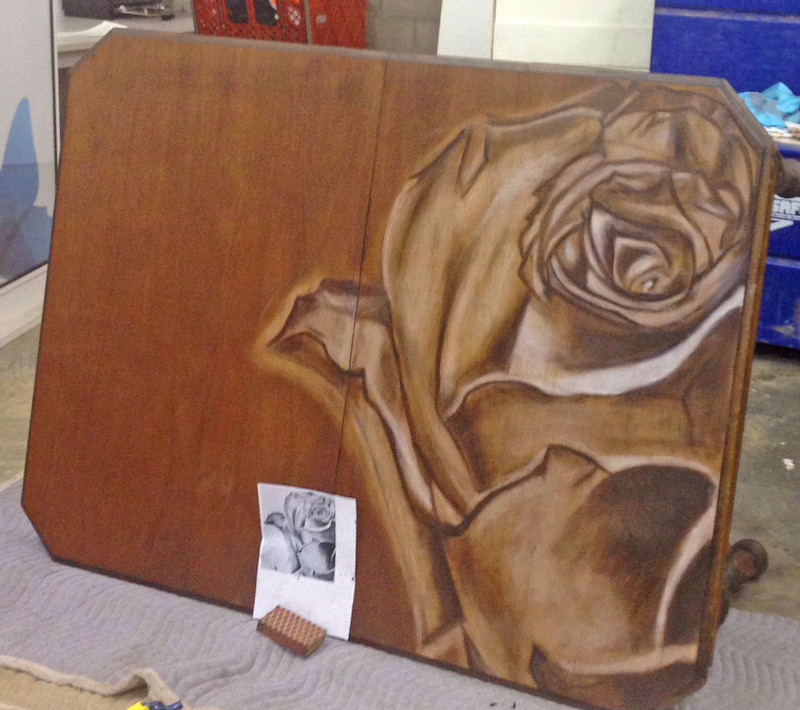 Rebecca from House of Aster shaded the rose on this table using Java and Candlelite Gel Stains from GF. Next, the table will be gifted to Habitat for Humanity! Remember: Every stain needs a top coat - especially Gel Stain! The topcoat is essential not only for protecting the piece but also for sealing in the color. GF suggests using High Performance Topcoat for a water based option, and Arm-R-Seal or Gel Topcoat for oil based options. If you choose to use High Performance, make sure that you wait 72 hours between the two products since you are moving from an oil based product to a water based product and it is essential that the first is dry before applying the second.